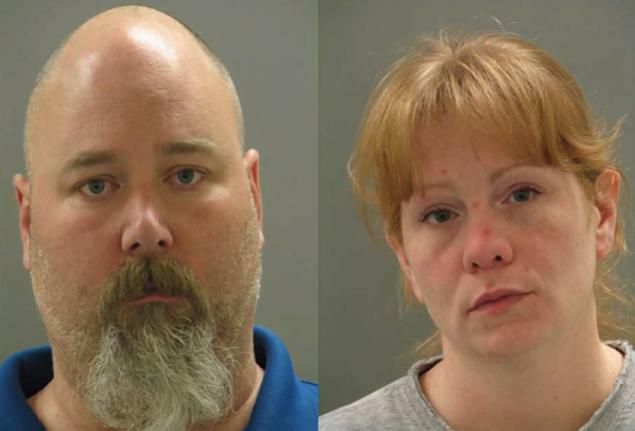 A 12-year-old boy was locked in a bare room for three months by his father, Robert Hohn, and his stepmother, Shannon Watterson. The windows were screwed shut, the door handle was installed backward, and the boy was only let out for small meals and brief bathroom visits. The abuse came to light when the boy managed to escape, ran barefoot for help, and was discovered by a neighbor a mile away. The boy was 20 pounds underweight, extremely malnourished, and had bruises on his face. He had previously gone to school with the neighbor’s son, but Hohn and Watterson had withdrawn him from school three months earlier to homeschool him. Three other children were living in the Hohn/Watterson household, aged 9, 10, and 14, but only the one child was homeschooled. Hohn and Watterman’s defense was that the boy was a troubled child who would beat his head against the floor and urinate in the closet. Hohn was sentenced to 6 years in prison and Watterson was sentenced to 5 years in prison.